 A pair of upsets that saw two of competitive FIFA's biggest names, Mossad "Msdossary7" Aldossary and Spencer "Gorilla" Ealing, exit in the first round of the Knockout Stages defined the second day of the FUT 19 Champions Cup January. With the reigning Saudi Arabian champion out of the tournament, Sunday's proceedings will see a new name crowned as the best player in the world. Dossary battled through illness Friday and Saturday and seemed to have Ajax's Dani Hagebeuk on the ropes early before a valiant comeback. Despite the string of underdog wins in this tournament, one familiar face still remains: F2's Donovan "F2TeKkz" Hunt. The 17-year-old Exeter, England, UK phenom has now earned himself a place in the Xbox semi-finals for the third straight tournament this year, proving to his doubters that his success in the FUT 18 Barcelona Cup from almost exactly a year ago is no fluke. Hunt will play Niklas "Rogue Nraseck7" Raseck, who himself had an impressive run to get to this stage. The German contender first edged out Paris Saint-Germain's Lucas "DaXe" Cuilerrier, 5-4, in a contest that could've gone either way. He then came up against Hashtag United's Alex Shaw, who had a strong run of games Friday that saw him finish 4-1 in the Swiss rounds. In similar fashion to the Round of 16, Raseck won by a one-goal margin yet again. Hunt, on the other hand, tallied an incredible 11 goals against his quarterfinal opponent, SPQR Senna. AFC Ajax's Dani Hagebeuk and SK Gaming's DullenMIKE will face off in the other Xbox semi-final, the same two players who began the day with shock wins over Dossary and Gorilla, respectively. Hagebeuk went on to beat VFL Wolfsburg's Benedikt 'SaLz0r' Saltzer in tense 3-2 affair, while DullenMIKE fended off a four-goal comeback from the Netshoes eSports Vini "NSE Vini" Leiva. The Brazilian challenger was down 6-2 early, but scored three straight goals to provide a pulsating finish. 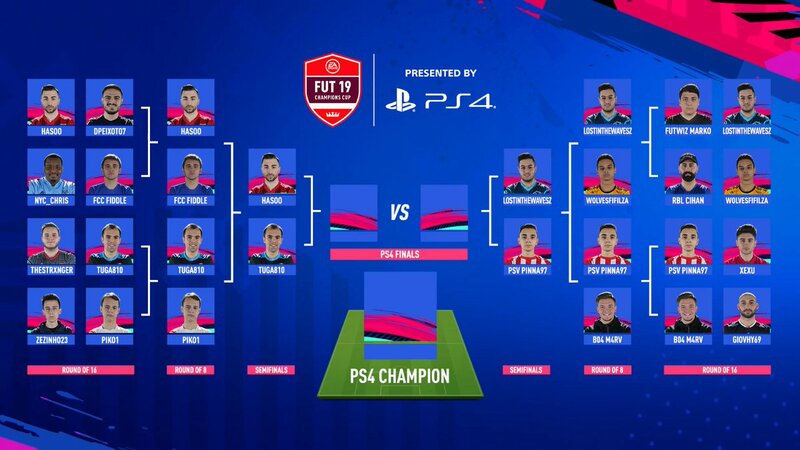 After finishing the Swiss rounds with the only 7-0 record, Schanzer eSports' Hasan "Hasoo" Eker continued his cinderella run, fending off Diogo Peixoto and FC Cincinnati's Gordon "FCC Fiddle" Thornsberry with a pair of one-goal victories en route to a PlayStation semi-final berth. The German will face another newcomer, Offset eSports' Diego "tuga810" Pombo. PSV Eindhoven's Stefano Pinna was the only known commodity to make the PlayStation semis, beating out the FIFA 18 Playoff Series' PlayStation runner-up from last June, Marvin "M4RV" Hintz. The matchup of the day came on the other side of this bracket, with an astounding 22 goals scored in 180 minutes of gametime, between WolvesFifilza and LostInTheWavesz. The scoreline ended 12-10 to the latter, with the clinching goal coming about 10 minutes from the second leg's full-time whistle. WolvesFifilza had gone down early, but it seemed that no lead was safe over the course of this game. 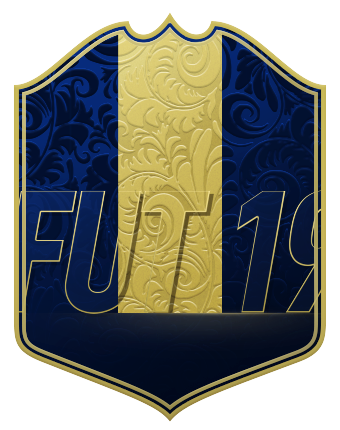 You can follow all of Sunday's console semi-final, final, and cross-console final action on Futhead's homepage or on EA SPORTS' Twitch channel, the proceeding get underway at 12:00 p.m. CET/11 a.m. UK/6 a.m. ET.